JUST OILS: Keeping skin as soft and smooth as possible, and hair ‘in check’ during the summer months, OILS are now the must-have daily beauty in my books. Though this isn’t today’s newsflash, and I’ve already been using face + body oils personally in the winter, I was curious how they worked in the summer heat- on my body and hair. Some of my issues mid-summer have been dry hair and dry skin patches on arms and legs from extra sun exposure. Though I am moisturizing and masking, the weight of heavy creams and hair masks are kindof making my face shiny and my hair look not so fresh textured. My summer surprise is how light oil can actually feel on your skin or hair in the summer. 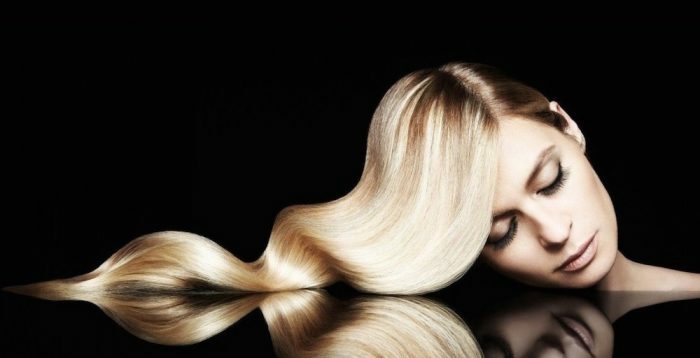 Your body + hair is so thirsty to absorb, it’s like instant gratification. To celebrate at least another month (or two) of summer, here are 5 favorite treats to keep your body + hair happy. Yes, take your oil supplement! Seabuck Wonders Ultimate Hair, Skin & Nails is a super dose of oils created for healthy hair, nails and skin with a bonus. The power blend of biotin mixed with sea buckthorn oil gives a boost of strength and beauty. Supercharged with Omegas 7,3,6,9 and more than 190 phytonutrients, this formula is the perfect choice for lasting, healthy beauty. Vegan and Gluten Free, comes from Tibetan Himalayas. Replenishes optimal moisture while restoring elasticity & shine. For all hair types. For an all-around boost of oil for hair, use L’anza Healing oil Shampoo and Conditioner for a complete regime with the same Keratin Protein and Phyto IV complex. All gluten-free, sodium chloride, sulfate and paraben-free. 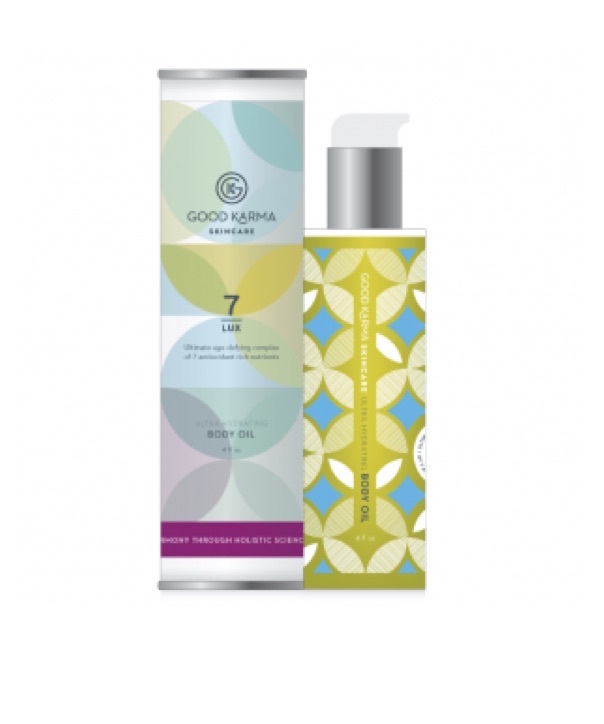 SMOOTH: Lux 7™ Ultra-Hydrating Body Oil by GoodKarma is a nutrient-rich blend of oils in a great plastic spray bottle for even application. Contains 7 organic, unrefined, cold-pressed oils combined with coconut oil. The fast absorbing formula of nutrients gives rich + firmer hydration- even in the summer. Leaves skin noticeably smoother, softer and ultra-moisturized, with a light grapefruit scent. scented with natural grapefruit. Put on after shower. 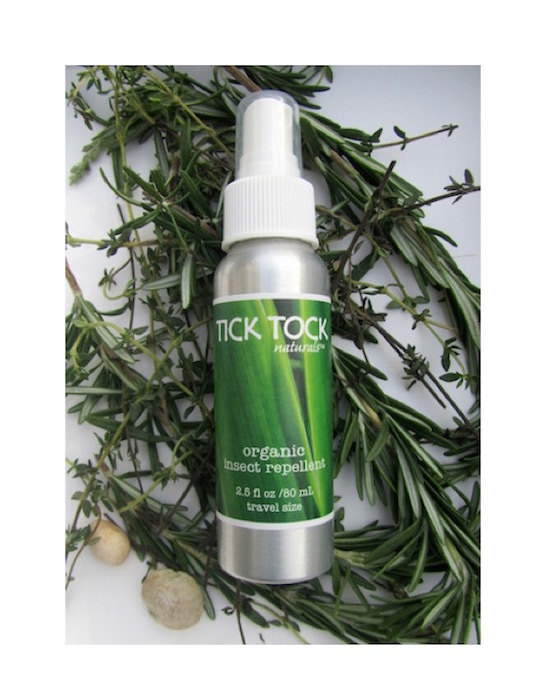 SPECIAL PROTECTION: the organic Anti-Bug: Tick Tock Naturals Organic Insect Repellent. With the zika + Lyme disease epidemic going on, I’m not taking the risk, even in the City. What I like about this DEET-free organic formula is that it actually absorbs into skin and keeps your skin soft. Super easy to re-apply while out, and keep in the bag – even it’s just your ankles and feet that are exposed. Safe for the family, and the travel size meets TSA regulations. Apply after sunblock before going outdoors, and can be used as moisturizer. Lemongrass scent evaporates after 10-15 min. Plus, a portion of sales proceeds goes to Lyme Research Alliance for funding research, and education of Lyme Disease. Organic. PROMO CODE: FDMLOVES – 10% off sales! Sea Buckthorn berry oil by SeabuckWonders is an ingestible oil that contains Omega-7 (30-35%) and vitamin E, an invaluable combo for your health and beauty routine. Omega-7 can help support, replenish, and moisten membranes that line the digestive tracts as well as supporting hair and nails. The bonus is the sea buckthorn berry oil is also great for applying topically as a skin treatments, or mixing with your favorite moisturizer for added healing. 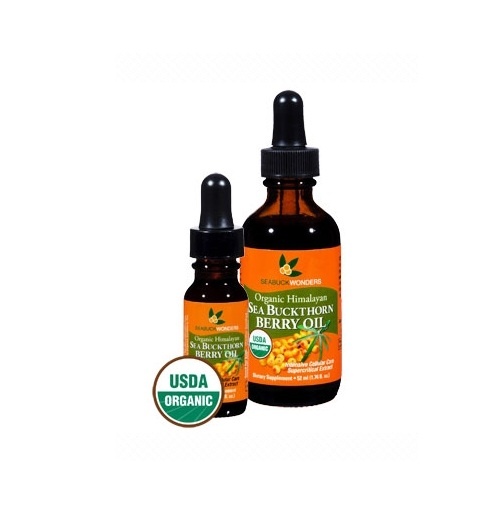 Sea Buckthorn is also known as one of the best source of Omega-7 Fatty Acids. 100% USDA Certiﬁed Organic, Non-GMO Project Verified, and Kosher certified. SUMMER BEAUTY OILS by Brigitte Segura. more hair trends. more hair stories.